Eggs are such a wonderful food!! Quick, easy, versatile, cheap, portable and highly nutritious, they are perfect for any meal, sweet or savory. There is so much nutrition crammed into this little package. 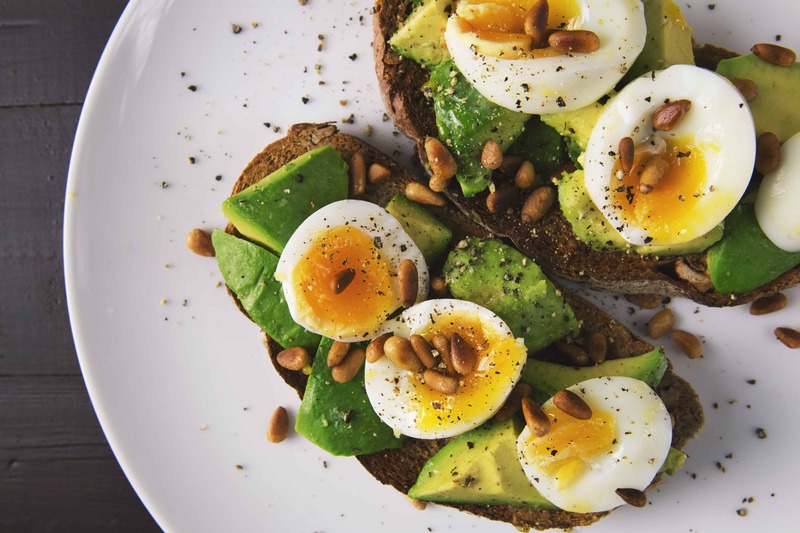 Eggs are a great source of complete protein (has all the essential amino acids), plus vitamins A, B2, B12, D, Folate, Biotin, Choline, Phosphorus, Iodine and Selenium. And all for only 70 calories for a medium-sized egg! Eggs have been given a bad press over the years with salmonella scares and a supposed risk of high cholesterol. As with any food, proper storing and cooking should prevent the risk of salmonella, and no risk of increased heart disease from eating eggs has been proven and the UK health and heart organisations have lifted the previous limits linked to the cholesterol found in eggs. People often ask how many eggs they should eat per week? Variety is key in the diet so you should never eat the same thing day after day so I would say about 4 – 5 eggs per week is the max. Vegetable omelette or frittata – your choice of veggies but peppers, courgettes, mushrooms, onions, asparagus, tender-stem broccoli, spinach, rocket all go very well. Make a large one and have half warm with a salad for dinner, a quarter cold for breakfast, and the other quarter cold with salad for lunch! Vegetables left over from the night before, popped back into a steamer for 1 minute to warm through, and topped with a poached egg. All of the above can be eaten for breakfast, snacks, lunches or a light supper so get cracking!